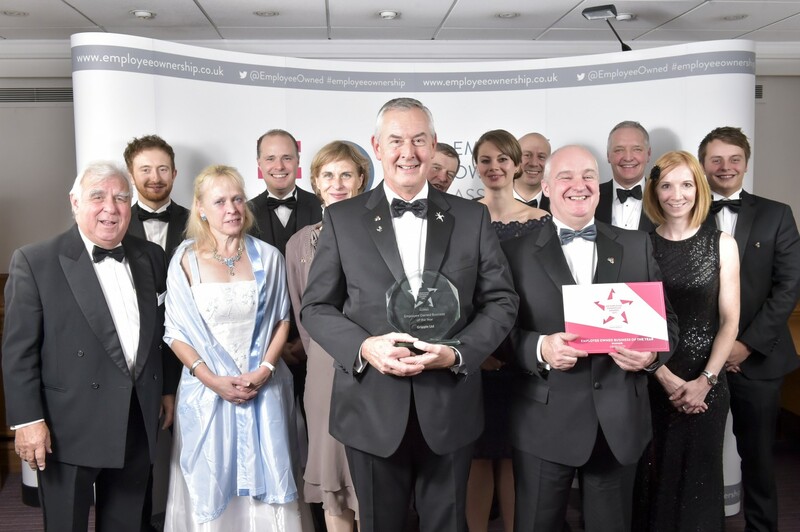 Leading manufacturer, Gripple, was celebrating last night after being awarded the Employee Owned Business of the Year by the BBC’s Martine Croxall, at this year’s UK Employee Ownership Awards. The Employee Owned Business of the Year award recognises the best all-round performance of an employee owned organisation during the year to September 2015. An independent group of judges form the employee owned sector highlighted Gripple’s best ever performing year, with before tax profits up 157%, 13 new products launched and a new commitment to bringing employee ownership to life throughout the business through enhanced employee engagement and decision making. “The award of the Employee Owned Business of the Year for Gripple is the culmination of a phenomenal story of success for the entire business. And as one of the most vocal champions for employee ownership, is great for the sector as a whole too.